Fire buckets are a cost effective, reliable and durable means of fighting a fire. 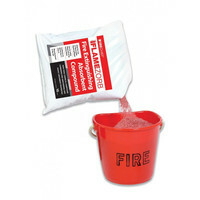 Fire buckets are available in both metal or plastic composition and supplied in red colour with the wording “Fire” to ensure they are easily identifiable. Fire buckets are typically filled with either sand or a fire extinguishing absorbing compound and mounted using a fire bucket mounting bracket. Some typical applications include garage forecourts, next to BBQs and for use of cigarette disposal. 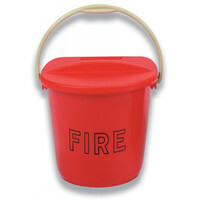 Fire buckets are suitable for both indoor and outdoor applications.